Custody roles are seen as the ‘worst jobs’ in policing, a new survey has revealed. Nearly a quarter of all custody officers told the survey they want to be redeployed away from detention duties as soon as possible. That figure is up from the 19% who said they wanted to quit the role last year. The Police Federation of England and Wales says the results of its survey back up the perception that custody is the worst job in policing. To put into context, just 2% of Firearms Officers and under 8% of Detectives said they wanted to move roles. The PFEW’s annual pay and morale survey included custody-specific questions for the second year running. More than 27,000 police officers, nearly a quarter of all ranks from constable to chief inspector, took part. Nearly three-quarters (72.2%) of officers currently not in a custody role say they would never want to do that job. Andy Ward, PFEW Deputy General Secretary and National Custody Lead, said: “Custody has always been a hard-to-fill role and, with it being one of the most challenging areas of policing, the situation is not improving. 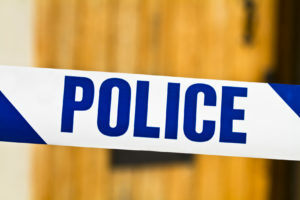 The survey also showed that 89% of custody officers said they were not paid fairly considering the stresses and strains of the job; 82% felt financially worse off than five years ago; 58% had low personal morale; and 50% were unhappy with training opportunities.